This policy is intended to guide GIT and students’ internship in the Maltese Islands. Until further notice, GIT is not committed to approve students going abroad unless an agreement is made between Global University’s leadership and the proposed internship provider. This policy is being written will be reviewed and adjusted according to reflect the response of arising needs not listed in this policy. At Global Institute of Theology, we want to strongly encourage students to consider a ministerial experience to interact with real-life church work. This is referred to as placements or internship. In this policy, we will refer to it as internship. An internship is a period of work experience offered by an organization such as church for a limited period of time for the sake gaining ministerial experience. This experience will help the students to significantly boost their learning by "doing." This is different than the "Student Learning Requirement" (SLR) assigned to every module. The SLR is an activity which reflects the students’ comprehension of the module studied and assessed by a qualified person. If the assessment is satisfactory, the students will complete to module if the passed the relevant graded assessments. During internships, the students will be assigned to a church or ministry that is recognized by GIT. In full cooperation with the entity, the students will serve the church under the guidance of the leadership to gain experience in the calling that they believe they received. 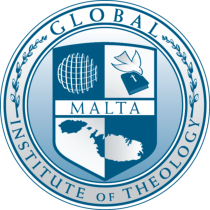 Since this is a new concept in the Maltese Evangelical and Pentecostal church, GIT will work with the relative stakeholders in order to build a stronger relationship and understanding about the need for placements and internships. Future ministers need to have the hands-on-experience of ministry under the guidance of a pastoral mentor. Internship will provide this experience. Each internship the requires the student to work with a local pastor to gain hands-on experience in various ministry activities. The students will be able to demonstrate the importance of a good attitude in ministry as well as many of the functions of ministry such as weddings, child dedication and other church activities such as the ministry of the Word and the administration of the sacraments. It also emphasizes servant leadership and the minister’s devotional life. This will involve joining a local church, other than the his own (whenever possible), to gain ministry experience in different settings. Global University’s programs (GIT) have an element of student placements or internship. This is true for EQF/MQF Level 5 to 7. Student Placements give Students the opportunity to gain practical work and/or an independent learning experience relevant to their program of study in line with their calling and ministry. The Policy is based on the following principles: I. GIT has a responsibility to its students who are going on student internships to take reasonable care to ensure that they are provided with a safe environment for the duration of their learning experience. This includes but not limited to: a. A church that has orthodox Evangelical/Pentecostal teaching. b. Church leaders have high regards towards biblical morals and ethics. c. Church leaders have a good testimony with outsiders. d. Providing the students with activities to enable them to reach their intended learning outcomes. e. Activities should not be in any way or form put the students in any risk of danger. f. Internship providers must hold an insurance covering public liability. II. GIT has a responsibility to internship providers agreeing to take internship students. Therefore, the students should: a. Be of good repute. b. Able to work under supervision c. Able to balance “goal orientation” with “relational orientation.” d. Follow terms and conditions that the stakeholder may require. e. Provide reports to the Internship providers and to GIT when required. f. Faithful to the organization’s and GIT’s policies. III. Participants Responsibility Placement a. Coordinator need to provide student with training and information on the skills required to secure a placement b. Student must: i. attend any training or information sessions ii. Read any training or information documentation provided iii. Attend any interviews arranged iv. Prepare a CV/application(if applicable) to submit to potential Internship provider. c. Internship provider must i. Organize and invite students to briefing session/s ii. Brief student on relevant details of the internship iii. Advise Student of insurance policy. iv. Maintain records of attendance at briefing sessions IV. Feed Back After completion of the Student internship, Students and internship facilitators should be required to provide feedback to the GIT’s director on their Student internship experience. In light of the feedback a review of the internship process and experience, including any recommendations that the internship providers deems that could enhance the study experiences of the students. V. Disclaimer Global Institute of Theology reserves the right to amend this policy at any time in any manner in which the University sees fit at the absolute discretion of the director.